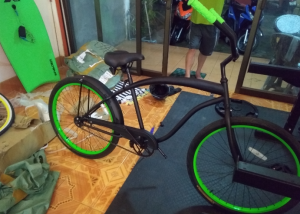 A friend of mine does computer consulting work in Thailand and is trying to open a bike rental shop. He’s invited me over to check the place out, maybe do some work on getting things up and running. Things seem to be lining up okay for me to do it. Since life can seem pretty short sometimes, I feel like it’s a good opportunity to take advantage of, especially before I over-think it. I’ll be able to do some remote work while out there too so should be able to keep my current job. So…. Thailand, here I come…. Maybe. The fall is the best time to go (as it always seems to be everywhere). Random opportunity, will probably regret it if I don’t do it. Logistics, logistics. More to come….